What does this look like to you? Does it look like candy? 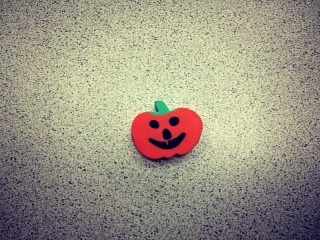 An adorable pumpkin shaped candy? Let’s say you dig your hand into the basket of Halloween candy in the back of your office pull this out, think it’s some sort of candy corn, and proceed to eat it. I did one of the above. I will let you decide which.